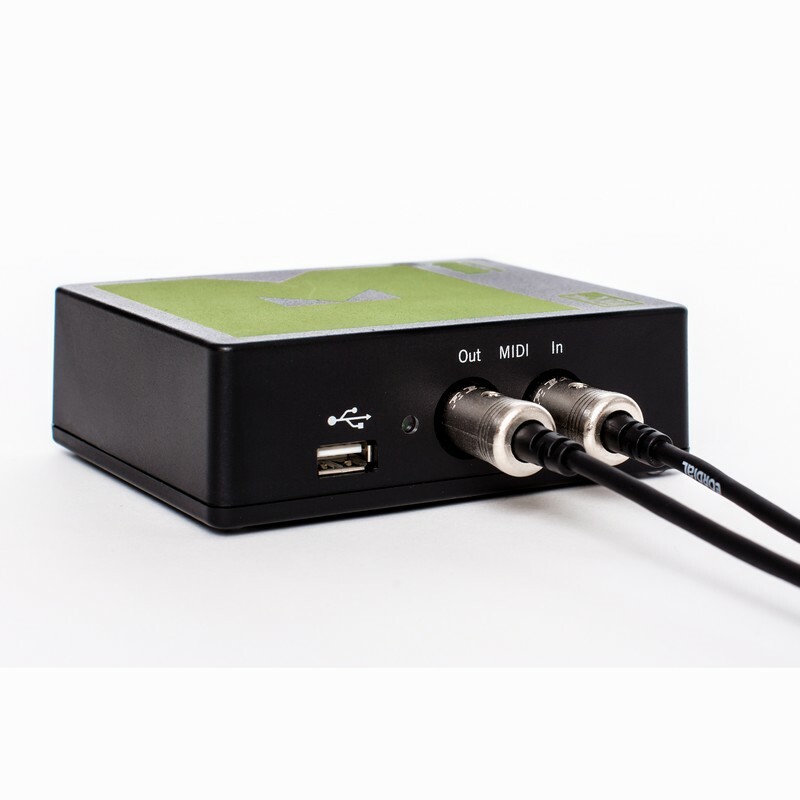 A MIDI Hub and Router for connecting musical instruments via MIDI DIN, USB, Ethernet, and WiFi. 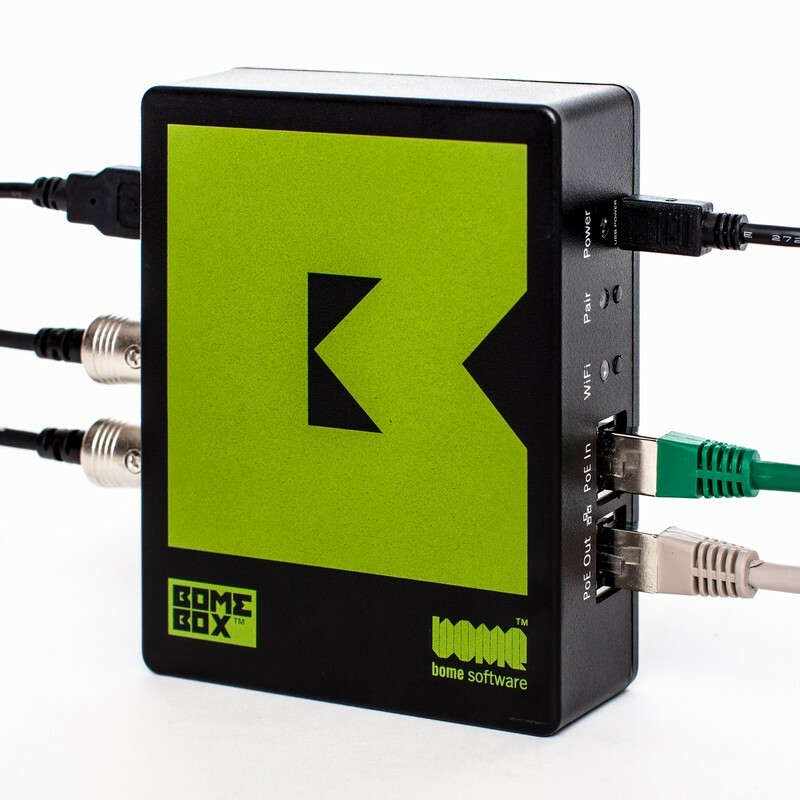 The BomeBox is the solution for connecting and mapping devices via MIDI, Ethernet, WiFi, and USB (without the need of a computer). Cross-connect USB-MIDI devices (powered by the BomeBox), MIDI 5-pin DIN, other BomeBoxes, Allen & Heath professional mixers, and computers. 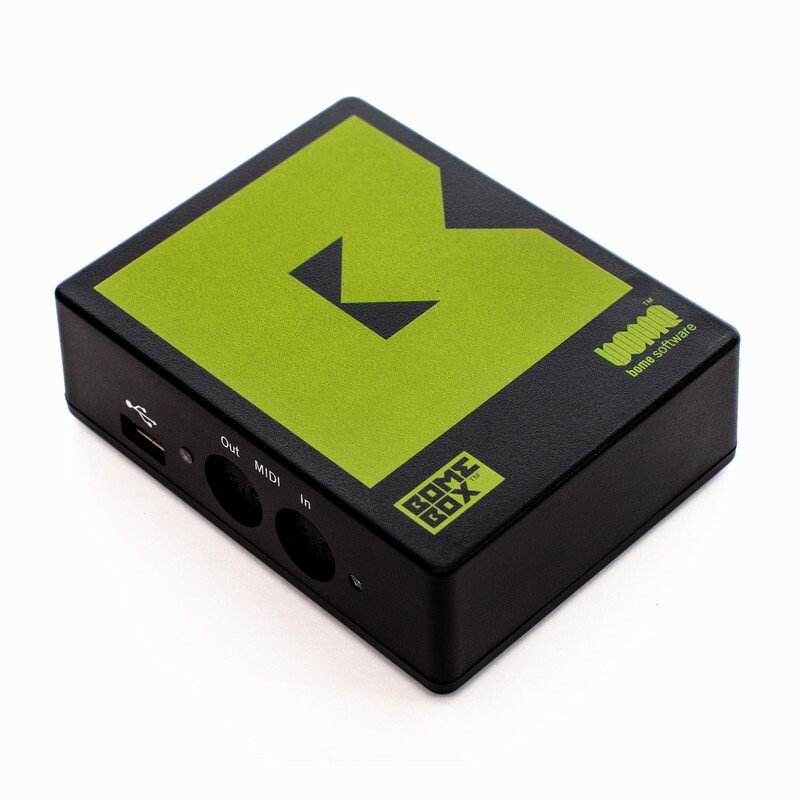 In conjunction with the desktop software Bome MIDI Translator Pro (sold separately), you can create powerful MIDI and serial port mappings and logic. A computer is only needed for creating the mapping. Once it is loaded into the BomeBox, a computer is not necessary for operation. Note that Bome MIDI Translator Pro is not included with the BomeBox. All MIDI routing and MIDI network functionality can be accessed without Bome MIDI Translator Pro, and you can run project files from someone who owns a license of MT Pro. 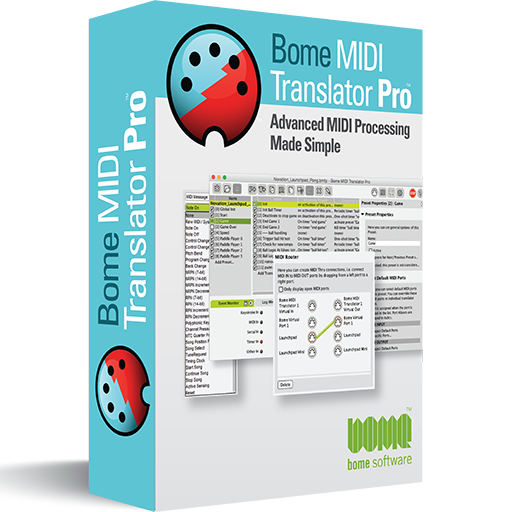 But if you want to create or edit your own mappings, you will need to purchase a license of Bome MIDI Translator Pro, too. 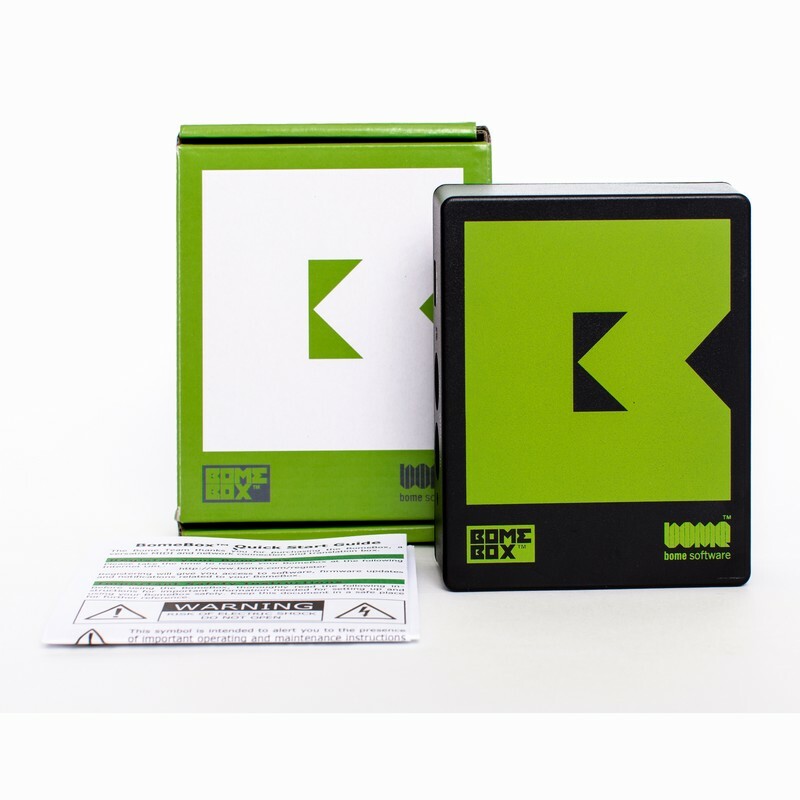 Delivery of the BomeBox is without cables and without a power supply. US orders are shipped from our distributor in Washington. 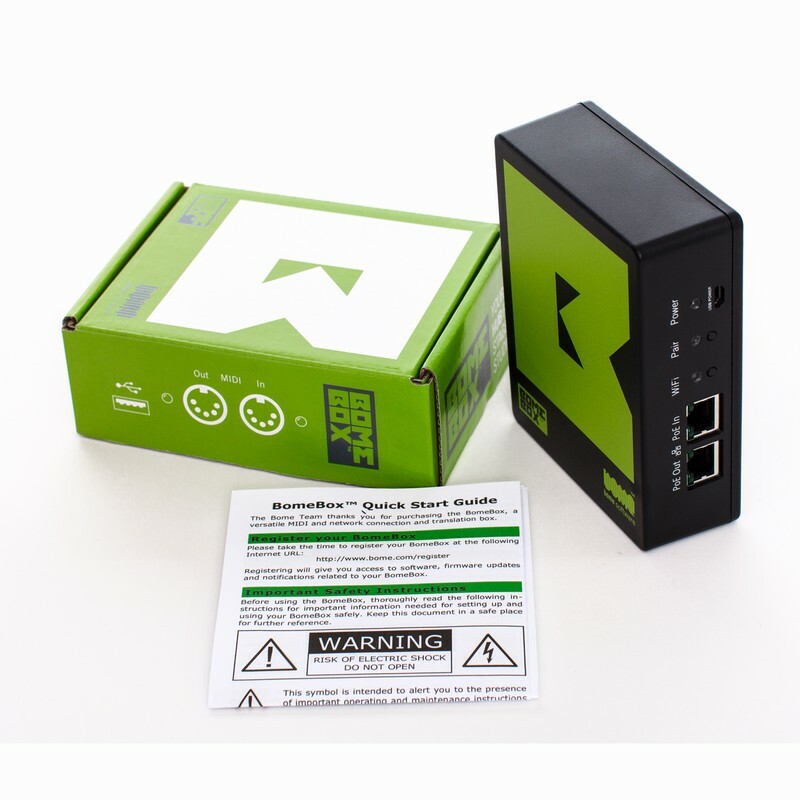 a Power-over-Ethernet power source, like this recommended PoE injector, or a network switch with PoE ports. 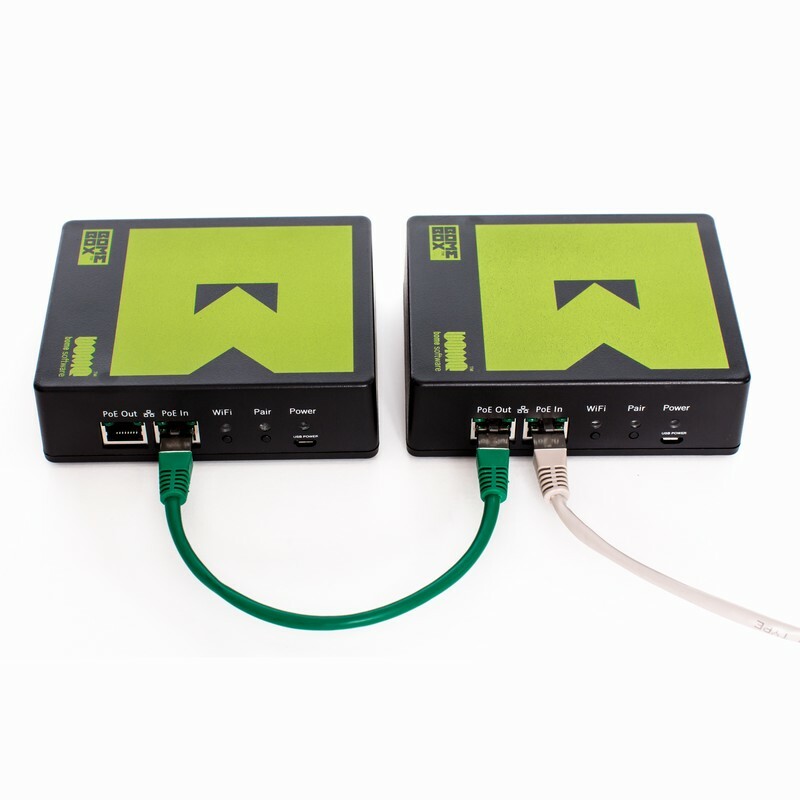 A PoE power source usually provides the most stable power for attaching multiple devices using a passive hub. 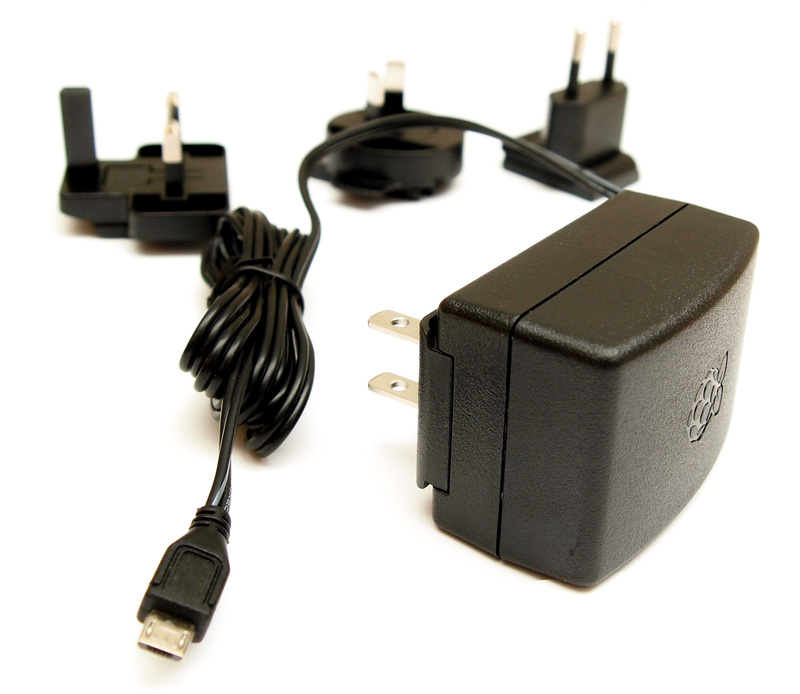 a strong micro USB power supply (like this one with 2.5A)) or another standard cell phone charger with micro USB plug (but be aware of quality differences). 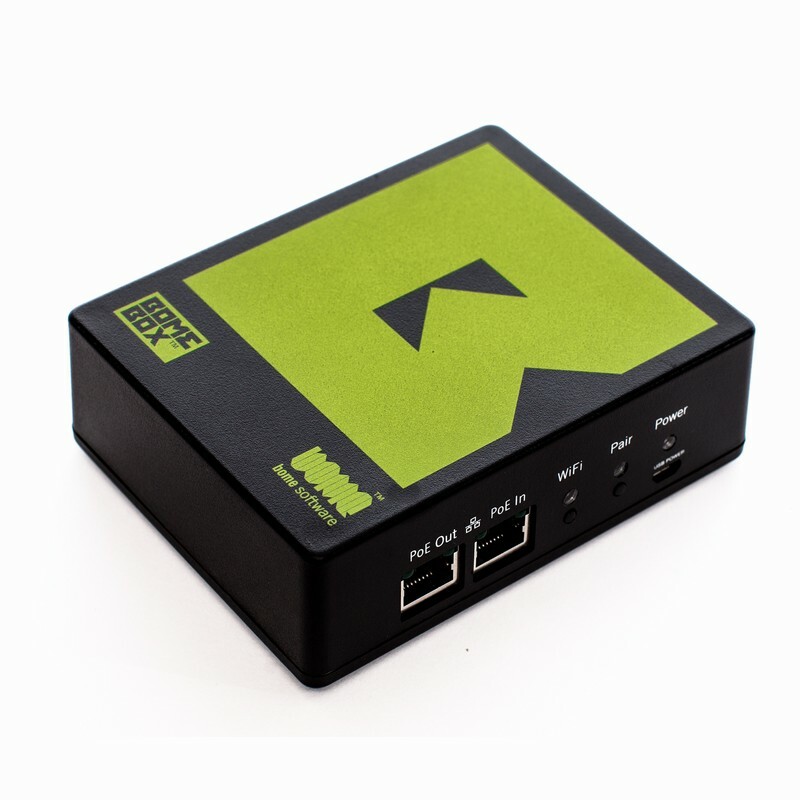 This type of power supply is not recommended if you want to attach multiple USB devices using a passive/non-powered USB hub. 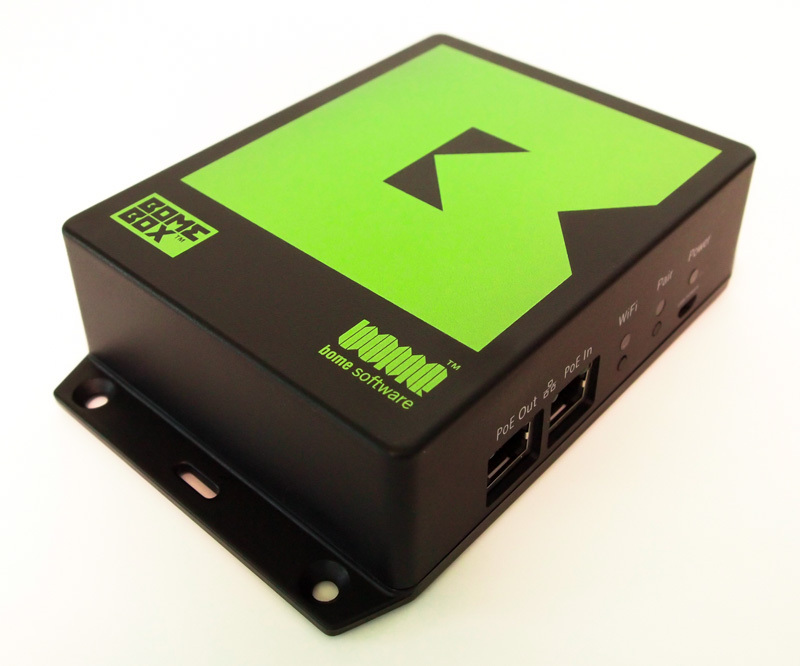 Most powered hubs can be used to power the USB devices and the BomeBox. This is a good option for using multiple USB devices. 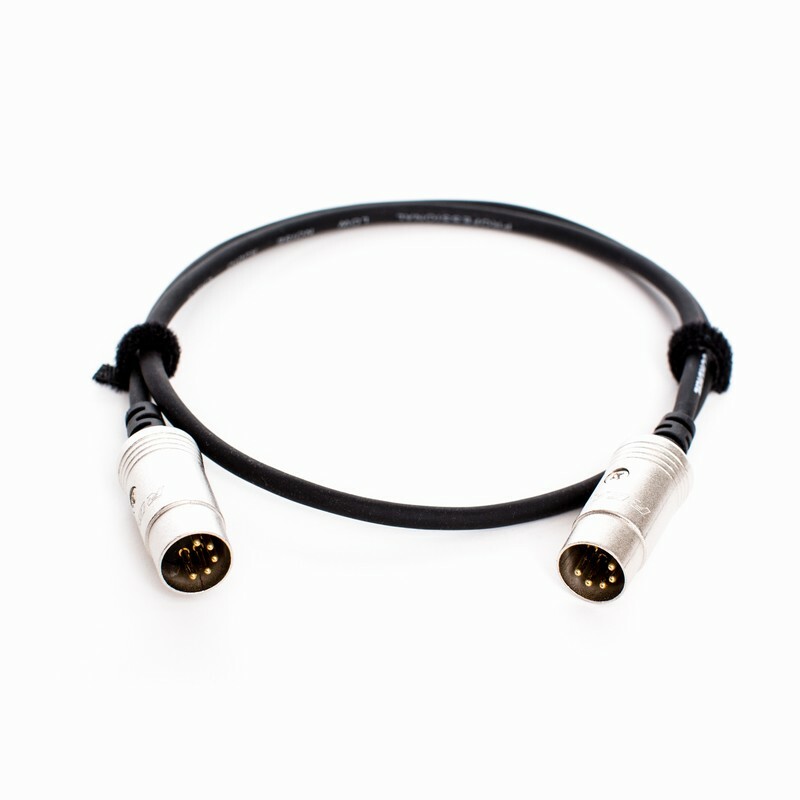 For creating Network MIDI connections via Ethernet and/or WiFi to a computer, use the Bome Network tool.